Snow removal services can make life a lot easier once snow strikes. When large amounts of snow and ice blanket your home or business, it is very unpleasant to think to yourself about how you are going to both handle your daily responsibilities and quickly respond to remove the snow and ice from your property to make it a safe and enjoyable place. Enter: an efficient and effective snow removal and maintenance plan. 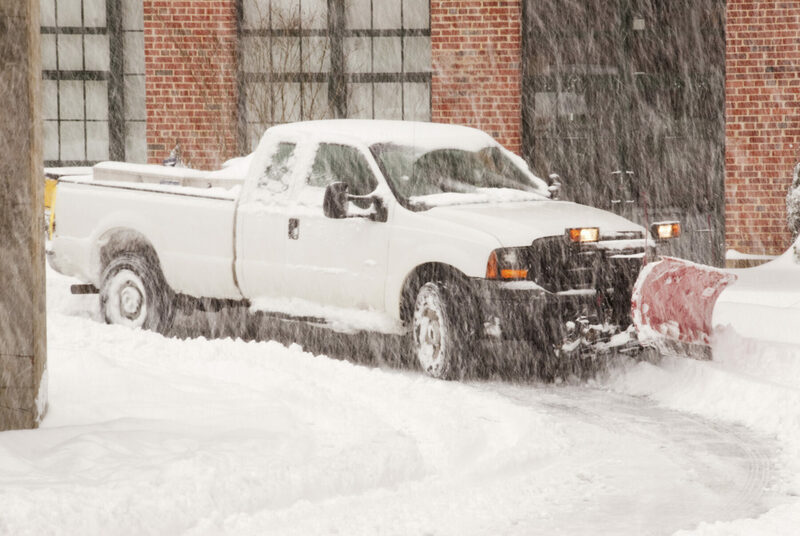 Although, snow removal trucks have been a scarcity for those who inhabit the northeast so far this season, it is important to have a good and reliable snow removal company and system in place. Snow removal is not only important to make our daily commute on the roadways much safer but do away with one more stressful side effect of the winter as well. We here at the Atlantic Maintenance Group, specialize in four specific areas of snow removal. Parking Lot Snow Removal: There are many important tips to remember when you are hired to remove snow and routinely perform winter maintenance for a company’s parking lot. Begin with clearing snow from the parking lot and away from the front entrance of the building and steer clear of drains and other areas in the parking lot that may accumulate water. Additionally, if you are asked to clear sidewalks, it is crucial to make sure that you shovel the sidewalk first and do not let snow pile up around handicap parking areas. Last but not least, clear the curbs of all excess snow and be mindful of the cars and people around you. It is best to remove snow from parking lots early in the morning or after the rush of workers entering or exiting the office is over. Road and Sidewalk Snow Removal: Each city has specific rules and guidelines in agreement with their plan for snow removal from roads and sidewalks. Basically, cities set a time limit for when snow must be removed from sidewalks and private roads and have law-abiding instructions for residential and non-residential properties. Salting and Ice Melting: If you currently live in our area where snow is not uncommon to see on sidewalks, roads and driveways, then you have probably seen salt and experienced leftover salt on the bottom of your shoes and pants. Sodium chloride (salt) usually comes from mined rock salt that is crushed and is another de-icing tool to help melt ice and snow across a bunch of different areas. But, when temperatures reach below 10 degrees, salt is not as effective as it can be. Snow Relocation: When large amounts of snow blanket the ground, it may be necessary to relocate snow from one space to another. Excessive piles of snow can take up valuable parking spaces, crumble structures and cause dangerous melting and refreezing on sidewalks and in parking lots. The Atlantic Maintenance Group has the right equipment necessary for resourceful snow removal and relocation. While some people may think they can plow the snow and get rid of the ice in their driveways on their own, it could be much healthier and more effective to hire a company specialized in snow removal. For instance, if you have health ailments like a bad back or your muscles aren’t as strong as they once were, ask your neighbors for a good snow removal referral. Cost is usually determined based on the size of your driveway but companies are always available to give quotes year-round. For More Information On Snow Removal, Contact Atlantic Maintenance Group Today! Mother nature can wreak havoc on asphalt, making highly trafficked areas unusable due to potholes and cracks and heavily damaging your property. Expert advice, installation, and care is key in maintaining the integrity of asphalt year round, but especially during the harsh winter. Atlantic Maintenance offers quality landscape, asphalt, and concrete maintenance services. We have the expertise to help meet all of your needs. This entry was posted on Monday, January 4th, 2016	at 3:08 pm	and is filed under Blog, Snow Removal	. You can follow any responses to this entry through the RSS 2.0	feed. Both comments and pings are currently closed.